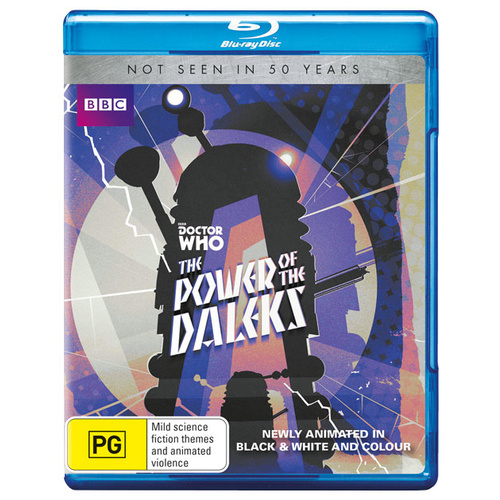 50 years after its only UK broadcast on BBC One, on of Doctor Who’s most celebrated, lost adventures is regenerated, with a brank new hand-drawn black and white animation, synchronized with a digitally remastered recording of the original 1966 audio. The six-part adventure takes place immediately after the first regeneration, as the Time Lord and his companions, Polly and Ben do battle with an old foe on the mysterious planet Vulcan. How will Polly and Ben cope with a new Doctor? How will the Doctor take to his new body? And how will they ever overcome the power of the Daleks?